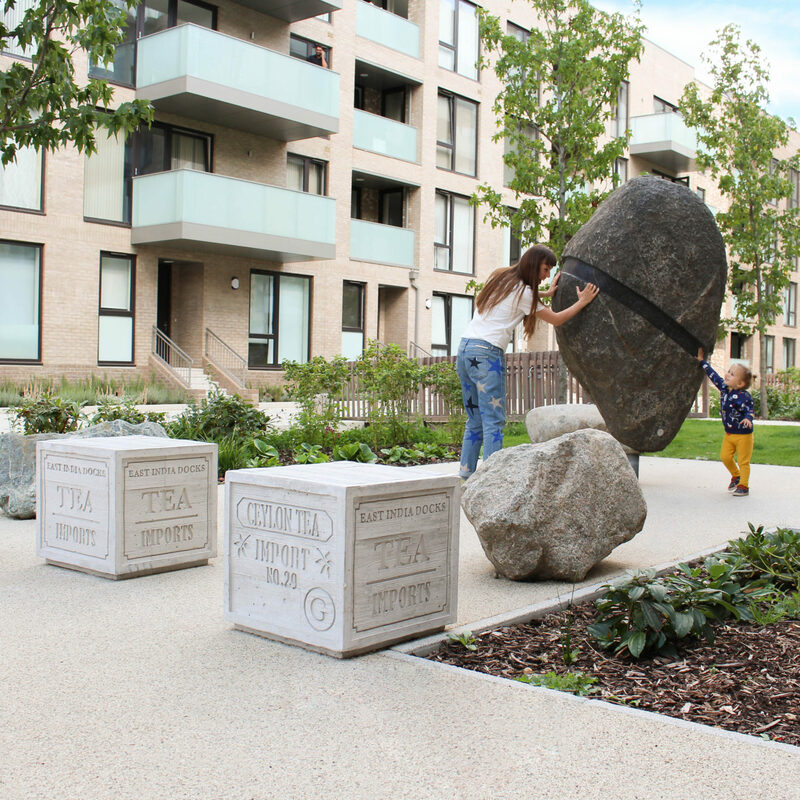 We were commissioned to develop a Public Art and Way Finding strategy for the soon-to-be developed parts of the Aberfeldy Estate in Tower Hamlets. 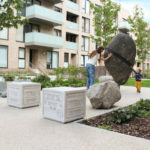 As with all of our projects, we developed our designs collaboratively to ensure the overarching narrative for public art within Aberfeldy New Village is relevant for existing and new residents. 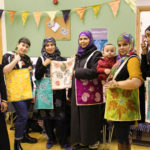 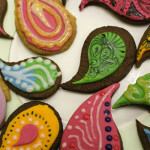 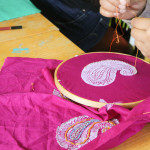 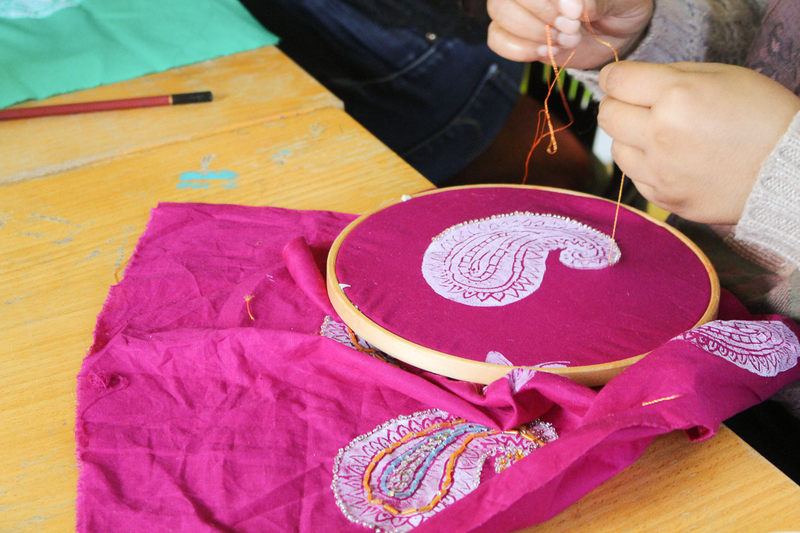 We noted a local appetite for needlecraft and printmaking so developed a paisley block printing workshop which also included an embroidered element for people to make unique paisley bags. 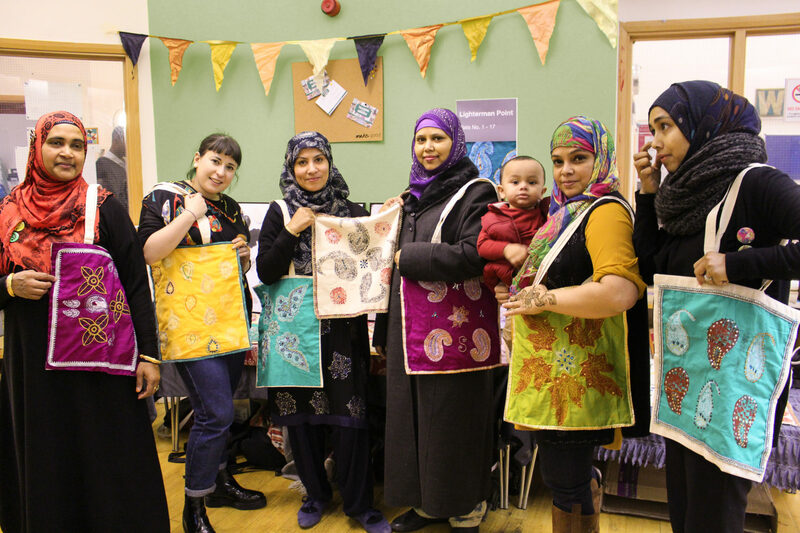 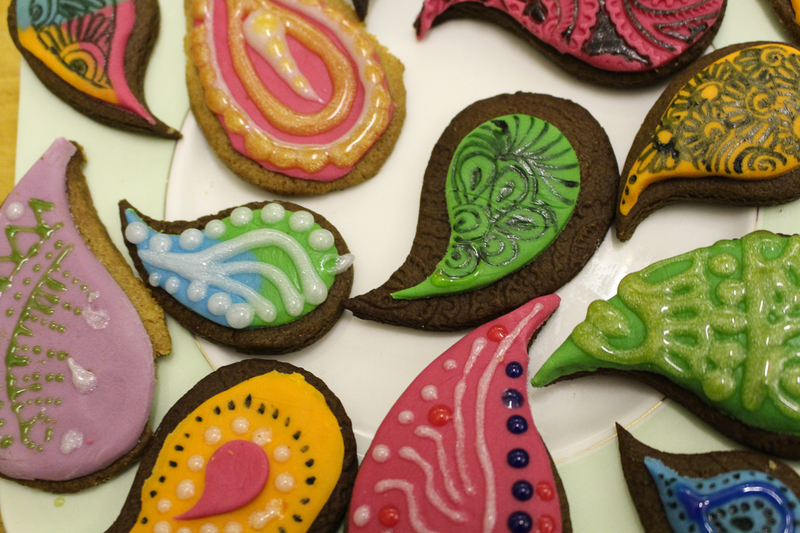 Hosting a ‘paisley party’ to celebrate and showcase the finished embroidered bags helped to embed the project more firmly in people’s minds. 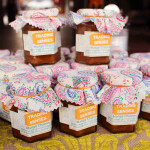 Working with imported spices we invited residents to cook a batch of E14 mango chutney with us; they prepared the ingredients, packaged the jars and then took the chutney home to share with family. 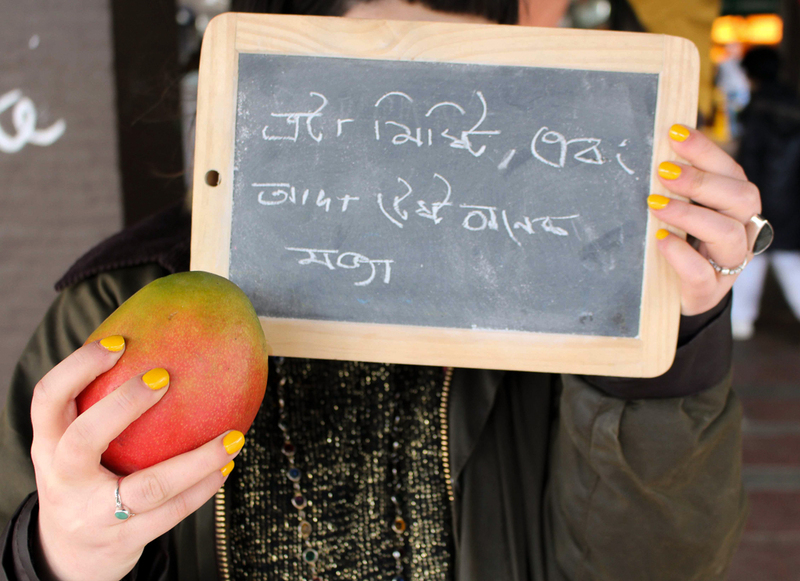 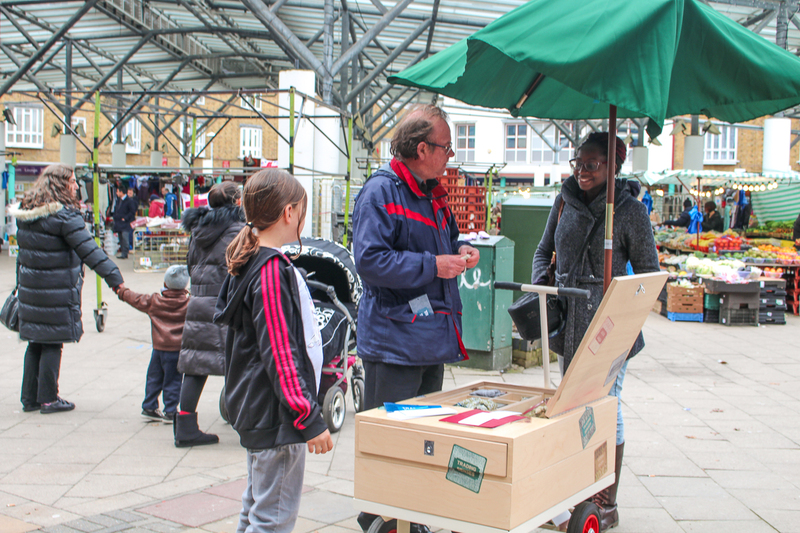 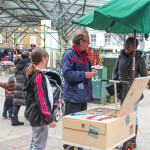 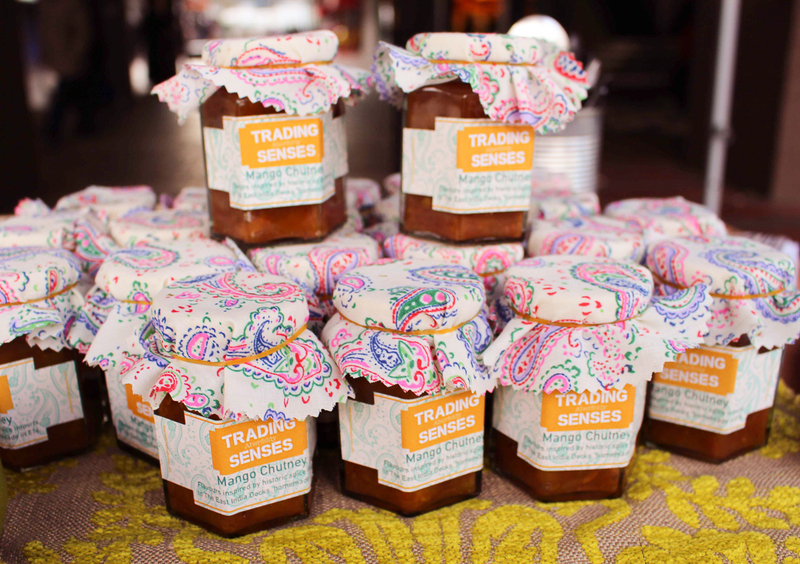 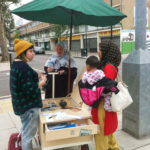 We ran a stall at Chrisp Street market to share the flavours more widely, introduce other people to the project and increase awareness of the new development. 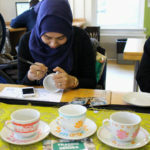 Food proved a really good way of bringing new people into the conversation and the scents of the spices triggered lots of new memories and stories for us to collect. 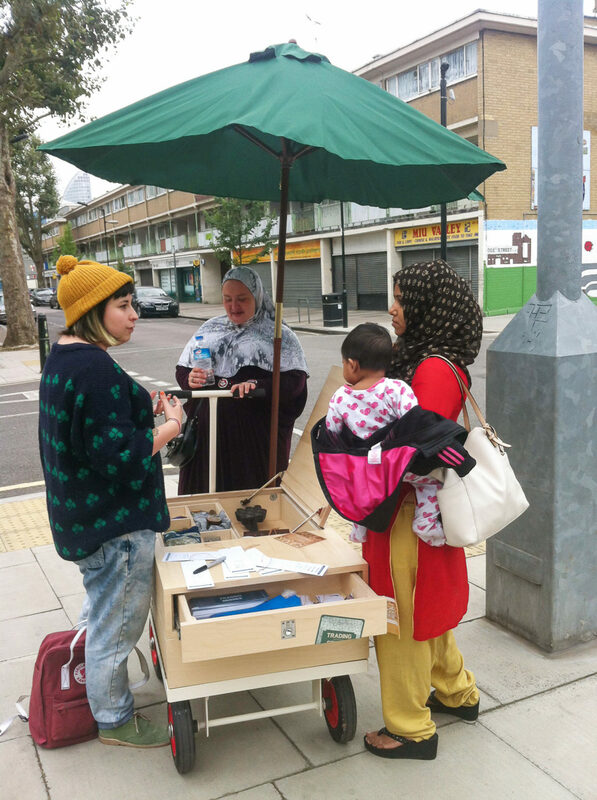 The project had a wide and diverse reach, including toddler and parent groups, schools, an elderly lunch club, craft groups and womens’ groups. 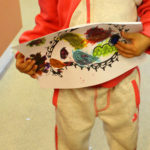 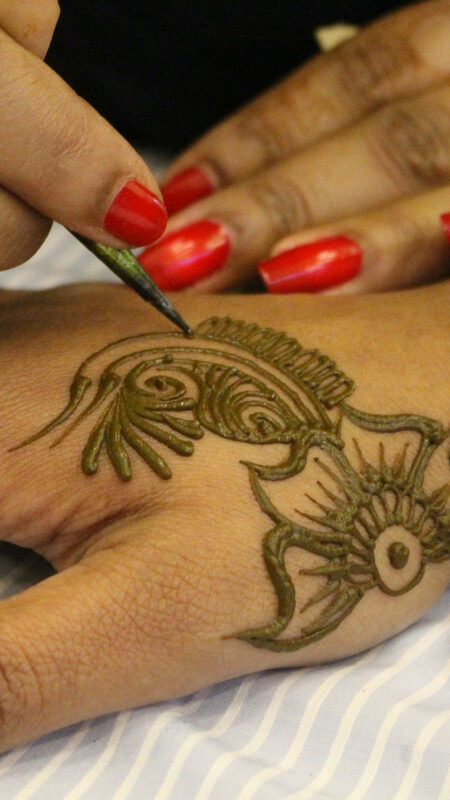 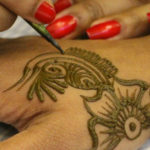 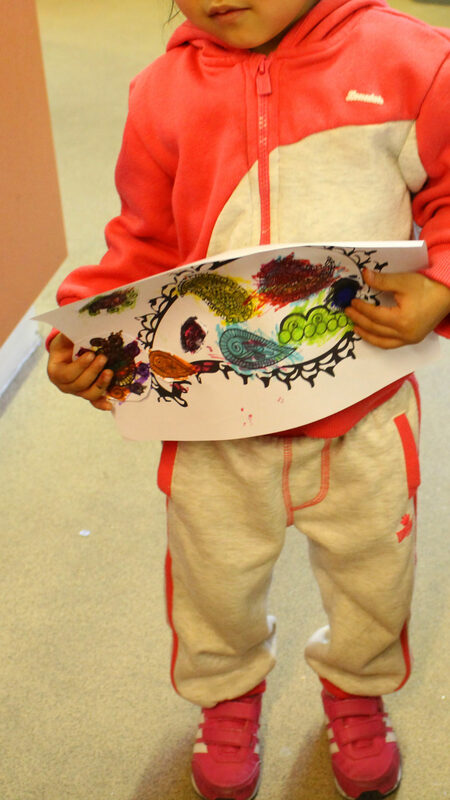 We raised awareness of our project through a range of creative workshops meaning that people who do not normally get involved in projects engaged positively with our work. 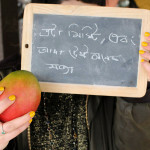 Working with local translators we had the key themes and ideas of the project translated into Bengali and made a short film narrated in Bengali to explain the project to people. 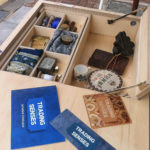 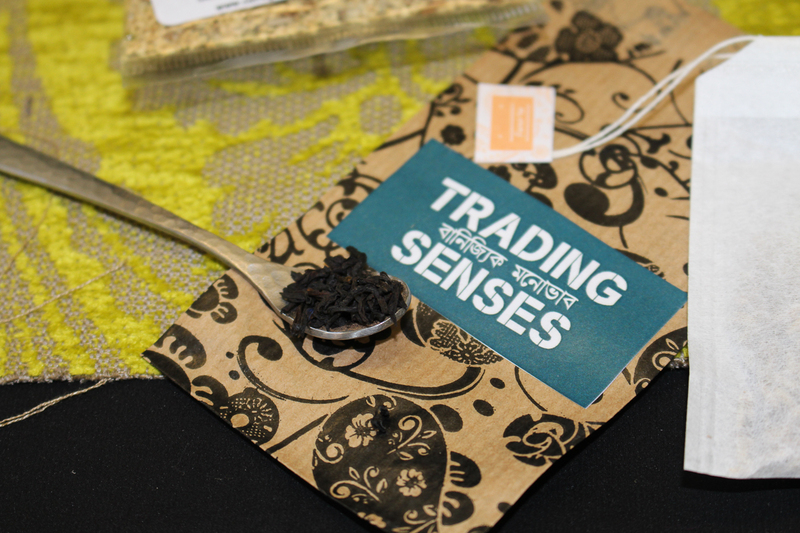 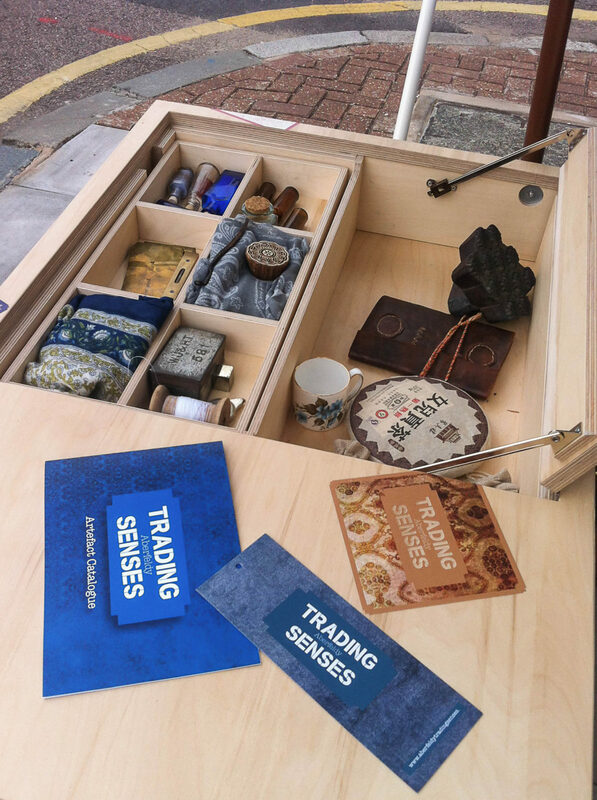 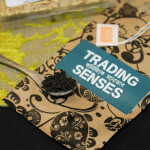 The themes of paisley, objects of trade, flavours, spices and containers for transporting goods became an intrinsic part of the narrative of trading senses for the whole public realm of Aberfeldy Estate. 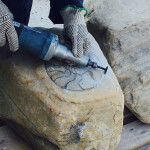 Starting with the ship at the dock we had the boulders, specified in the water feature at the entrance to the estate, engraved with the rope of a docking ship and crustacia that would have attached themselves to the outside of the ships. 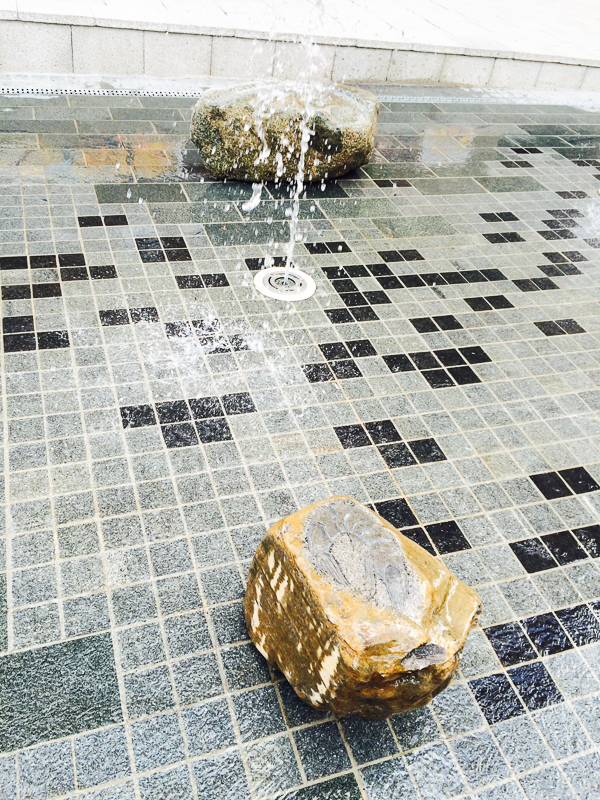 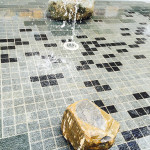 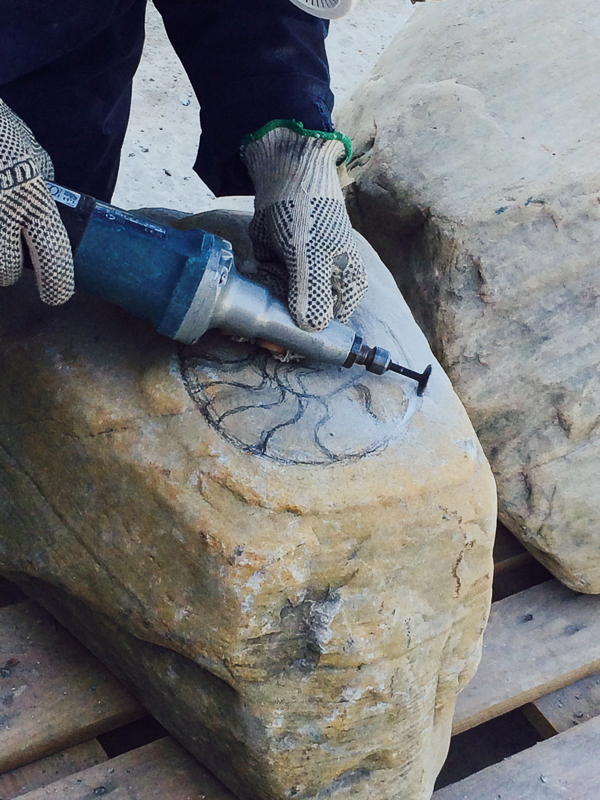 Working with a stone mason we had an existing relationship with allowed us to be confident in a quality output. 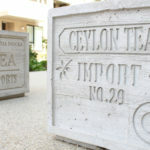 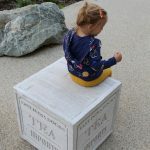 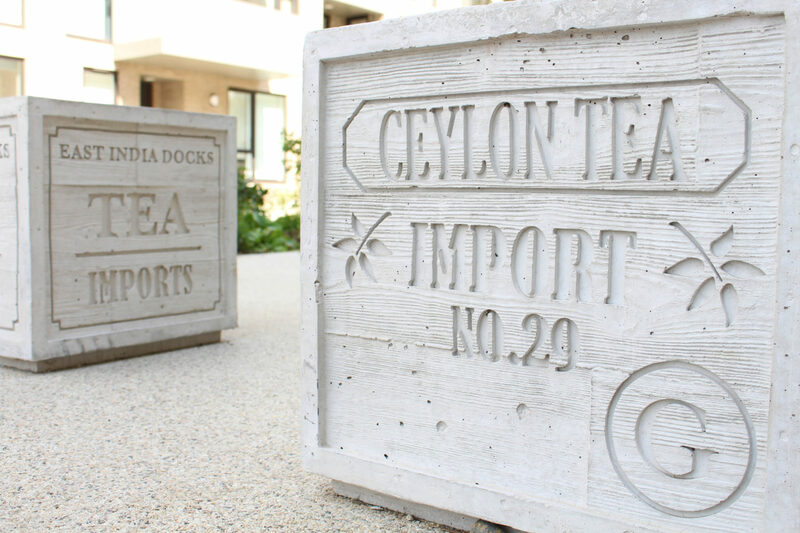 The next step was the unloading of the ship and we designed a series of cast concrete tea crates that goods would have been packed and transported in. 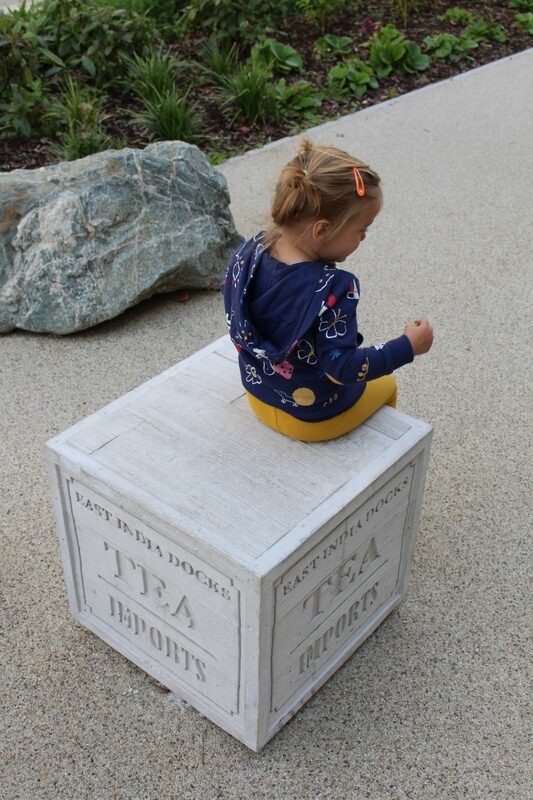 We used historical references to mark and inlay the crates so that they showed the arrival of things from around the world into London. 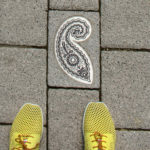 The paisley icon was so evocative for people, familiar across many different cultures and an outline shape that can be filled in many different ways. 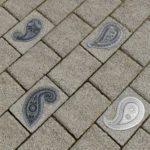 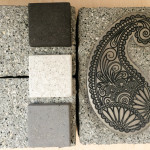 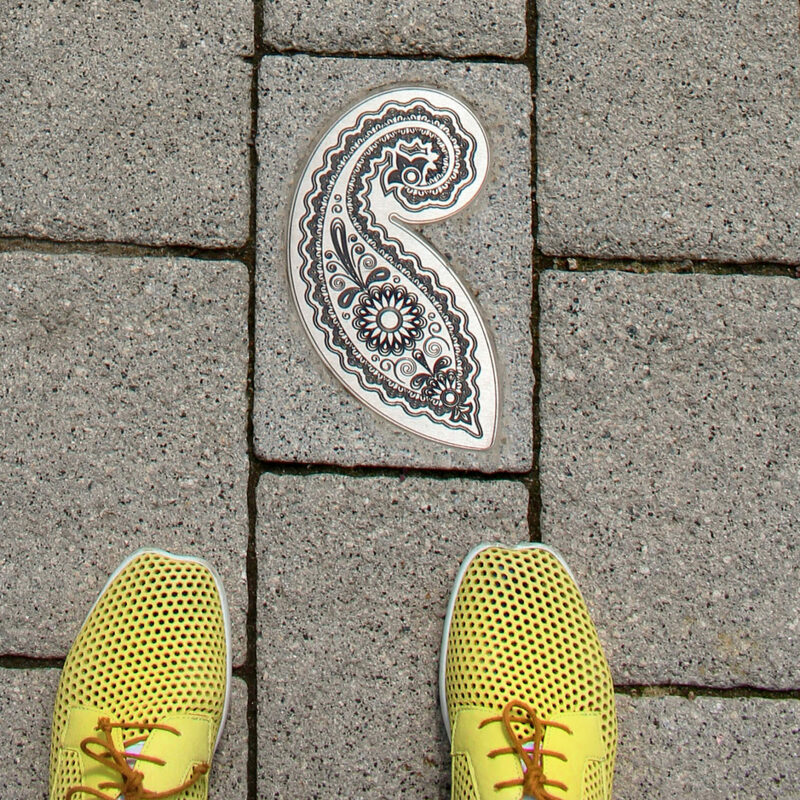 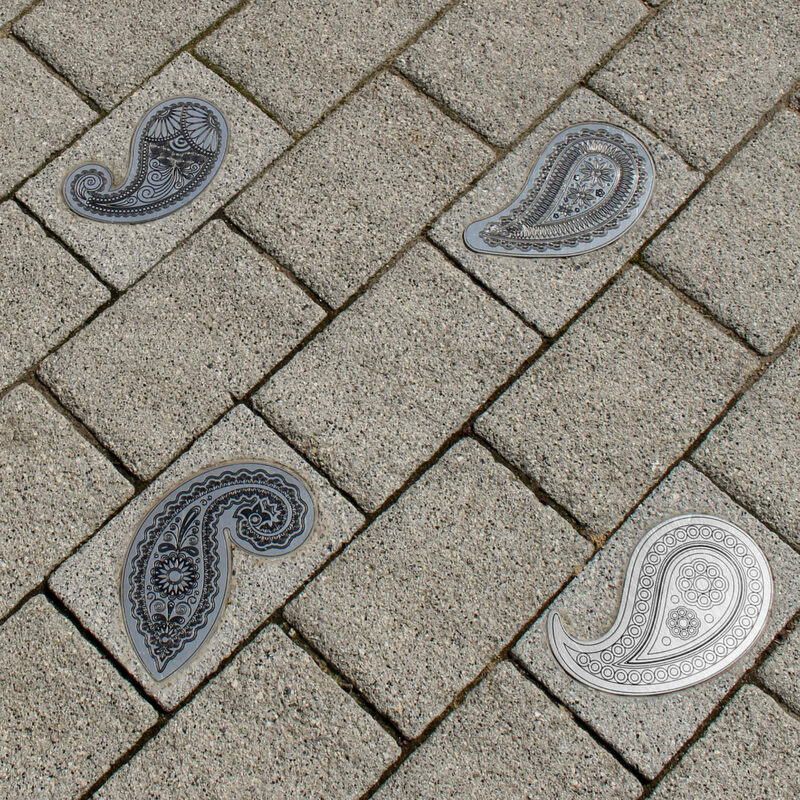 We used patterns gathered at the embroidary and print making workshops earlier in the project to engrave and inlay the already specified paving stones with these unique paisley designs. 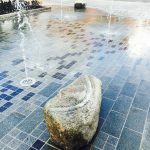 Shimmering beautifully in the sunshine these pavers add a personal touch to the landscape and create a more domestic feel to a large space. 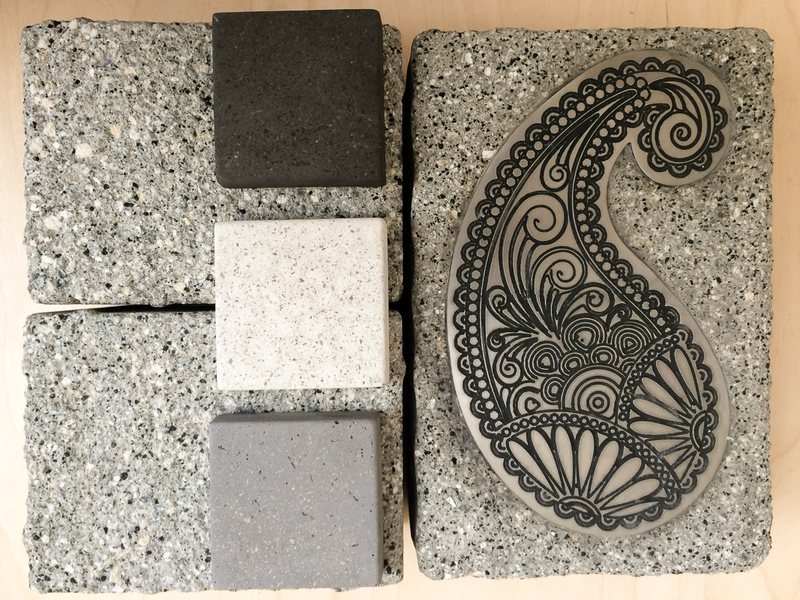 Commission 1: September 2014 – March 2015.